WASHINGTON - It has long been understood that Tencent — the Chinese firm that owns WeChat and QQ, two of the world’s most widely used social media applications — facilitates Chinese government censorship and surveillance. But over the past year, the scale and significance of this activity have increased and become more visible, both inside and outside China. During the last month alone, several events have illustrated the trend and Tencent’s close relationship with the Chinese authorities. On March 2, Dutch hacker Victor Gevers revealed that the content of millions of conversations on Tencent applications among users at internet cafes are being relayed, along with the users’ identities, to police stations across China. Just three days later, the company’s founder and chief executive, Pony Ma, took his seat among 3,000 delegates to the National People’s Congress, the country’s rubber-stamp parliament. Ma reportedly raised the issue of data privacy even as security agencies were using data from his company’s applications to root out unauthorized religious activity. As Tencent’s pattern of censorship and data-sharing with China’s repressive government continues and intensifies, now is the time to consider actions that might help protect the basic rights of all users, regardless of their location and nationality. Founded in 1998, Tencent and its popular applications have quickly emerged as ubiquitous elements of China’s communications, financial and social fabric. In January, the company declared that WeChat alone had a billion active daily users. While the company has been forced since its inception to comply with strict Chinese Communist Party information controls, the combination of growing government demands and WeChat’s near market saturation in China has increased the scope and impact of its complicity. In the realm of censorship, media reports and expert research indicate that WeChat has been refining the use of artificial intelligence to identify and delete images, which netizens commonly employ to evade censorship and surveillance of text communications. The platform has also shuttered thousands of social media accounts that produced unauthorized news and analysis. These and other forms of censorship significantly distort the information received by Chinese users on vital topics. Analysis by researchers at Hong Kong University’s WeChatscope project, which tracks deletions from some 4,000 public accounts on the platform, found that among the most censored topics in 2018 were major news stories like the U.S.-China trade dispute, the arrest in Canada of Huawei chief financial officer Meng Wanzhou, the #MeToo movement and public health scandals. Monitoring of user activity on the platform has been made simpler by enhanced enforcement of real-name registration requirements for cellphones, the electronic payment features of WeChat, large-scale police purchases of smartphone scanners and new rules facilitating public security agencies’ access to data centers. As indicated above, content from Tencent applications is being directly given to police in some cases. This surveillance is increasingly leading to legal repercussions for ordinary users. A sample of cases tracked in Freedom House’s China Media Bulletin over the past year feature penalties against numerous WeChat users for mocking President Xi Jinping, criticizing judicial officials, commenting on massive floods, sharing information about human rights abuses, or expressing views related to their persecuted religion or ethnicity, be they Uyghur Muslims, Tibetan Buddhists or Falun Gong practitioners. The punishments have ranged from several days of administrative detention to many years in prison, in some cases for comments that were ostensibly shared privately with friends. These dynamics have inevitably encouraged self-censorship on the platform. Although WeChat’s primary user base is in China, an estimated 100 to 200 million people outside the country use the messaging service. Among them are millions of members of the Chinese diaspora in countries like Canada, Australia and the United States, but there is also broader expansion in much of Asia. Malaysia is reportedly home to 20 million WeChat users, out of a population of 31 million. In Thailand, an estimated 17 percent of the population has a WeChat account. In Mongolia, WeChat was the second most downloaded application in 2017. Merchants in Myanmar’s Shan state along the border with China have taken up the app and the number of retailers in Japan that accept WePay (mostly when serving Chinese tourists) increased 35-fold last year. Tencent recently purchased a $150 million stake in the news aggregator Reddit and is eyeing an entrance into the online video market in Taiwan, according to Taiwanese officials. Evidence that politicized censorship and surveillance may affect Tencent users outside China has begun to emerge. A 2016 study by Citizen Lab found that conversations between an overseas user and a contact inside China were subject to certain forms of keyword censorship, and that once an account is registered with a Chinese phone number, it remains subject to Chinese controls even outside the country. In Australia, a more recent study of news sources available to the Chinese diaspora found negligible political coverage of China on the WeChat channels of Chinese-language news providers. Incredibly, between March and August 2017, none of the WeChat channels published a single article on Chinese politics, despite the run-up to the important 19th Party Congress that fall. In Canada, WeChat censors have deleted a member of Parliament’s message to constituents praising Hong Kong’s Umbrella Movement protesters, manipulated dissemination of news reports related to Meng’s arrest, and blocked broader media coverage of Chinese government corruption and leading officials. Amid a crackdown in Xinjiang, Chinese police have also harnessed WeChat to connect with overseas Uyghurs, demand personal information or details about activists and insert state monitors into private groups. 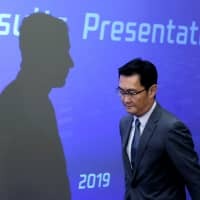 Regardless of whether Tencent is a reluctant or an eager accomplice to the Chinese government’s repressive policies, the reality is that Tencent employees can be expected to censor, monitor and report private communications and personal data, in many cases leading to innocent people’s arrest and torture. This should be the starting point for anyone considering using, regulating, or investing in the company’s services. For those inside China, it is nearly impossible today to function without using WeChat to some extent. But users would be well advised to exercise caution, restricting the application to its most practical functions and consulting available guides on enhancing digital security and accessing information on current affairs more safely. As governments around the world try to tackle problems related to “fake news,” political manipulation and weak data protections on social media platforms like Facebook and Twitter, Chinese counterparts like WeChat should be subject to at least as much scrutiny and regulation — and be held accountable for any violations. Governments and corporations should also restrict usage of WeChat among their employees, particularly those who work with sensitive information, as the governments of Australia and India have recently done. Politicians communicating with their Chinese-speaking constituents should make sure to do so across a diversity of platforms, not just those that are subject to Chinese government control. Lastly, investors in Tencent should consider the moral and political implications of their support for the firm. Anyone concerned about human rights, electoral interference by foreign powers or privacy violations by tech giants should divest from the firm, including retirement funds. Socially responsible investment plans should exclude Tencent from their portfolios if they have not already. 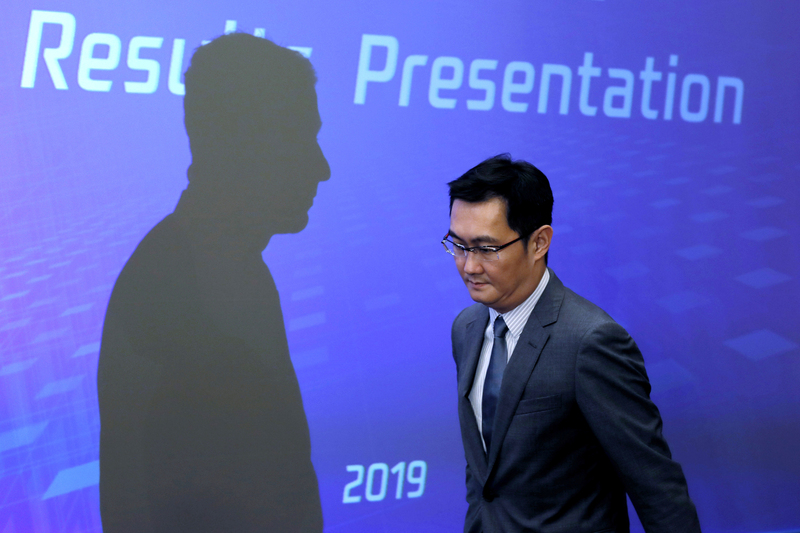 No amount of pushback from users, democratic governments, civil society groups, or investors is likely to change Tencent’s complicity with the Chinese government’s repressive activities. Its very survival depends on dutiful adherence to Communist Party directives. But the steps suggested above would do a great deal to limit the current and potential future damage caused by the company’s practices — for individual users, for the world’s open societies and for the very concept of free expression in the digital age.